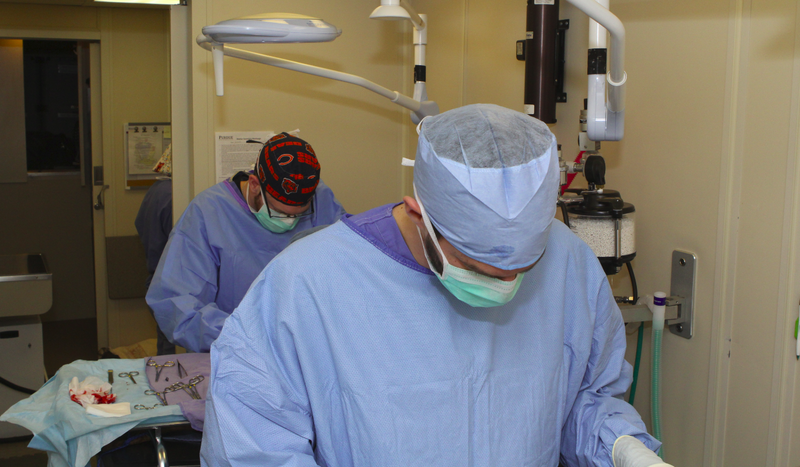 Like many other veterinary schools, Purdue has a surgery rotation for fourth year DVM students. Another way the students get their surgical experience is with the highly sought after fourth year shelter medicine elective. 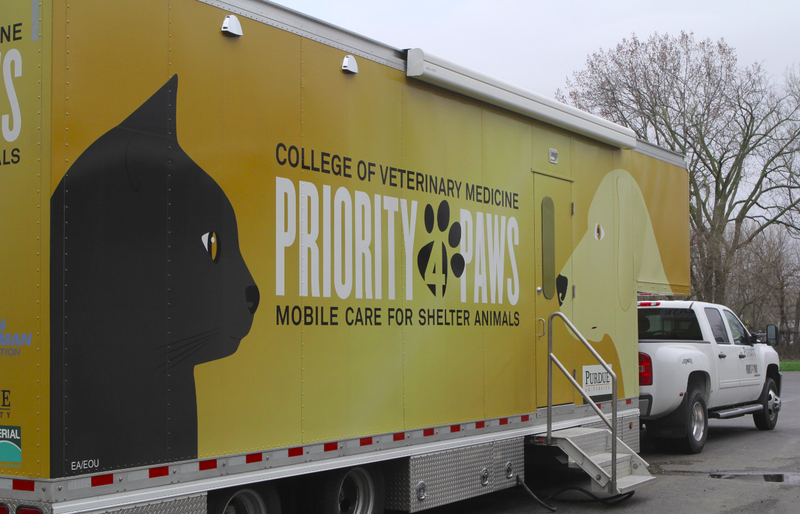 A student who chooses this 3-week rotation spends 2 weeks of it on the Priority for Paws mobile unit. They travel to different shelters within a 2-hour drive from West Lafayette, which is where the college is located, and perform spays and neuters on those shelter pets free of charge. On average, a student can leave this rotation having done up to 70 surgeries thanks to this program. Often, this experience not only improves the surgery skill of the student but also their confidence. Students may feel unprepared in certain aspects of surgery because of lack of exposure. Being able to participate in this program significantly changes that. Dr. Fellenstein, who is the head clinician and professor of record for all the shelter medicine courses, received an e-mail from Kelly Ray, a recent graduate, who stated “It was sincerely one of the most helpful rotations to starting my career. Just know that I think of you often and you really are making a huge impact in our careers”.Purdue University College of Veterinary Medicine is well known for having a wonderful program that produces amazing veterinarians. 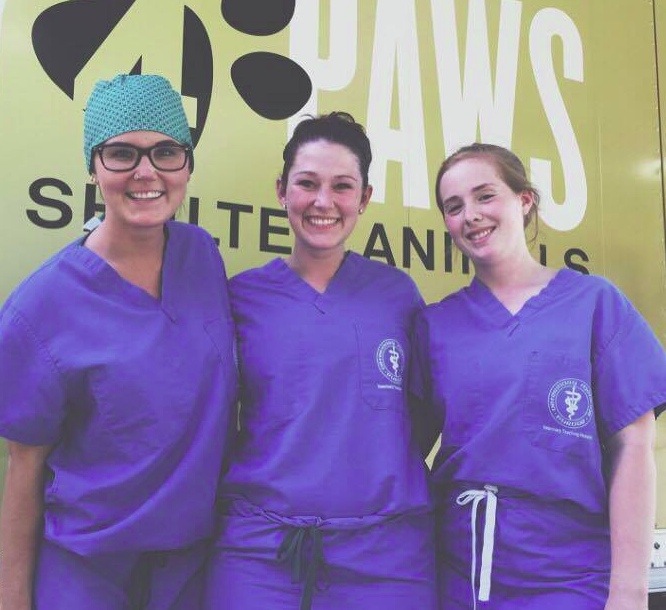 However, not too many know about their Shelter Medicine Rotation which includes the Priority for Paws, a mobile surgery unit. This unit simultaneously helps the community while improving the surgical skills of future veterinarians. Because this course is so highly sought after, they have also included a shelter medicine elective that can be taken before your fourth year. In this elective they cover everything from contagious diseases, contamination, isolation, animal welfare, being a shelter veterinarian etc. A major part of the course is the project due at the end of the semester. Students are split into groups and assigned a case. Almost all of the cases are based on a true event Dr. Fellenstein has seen. They present a board with information on the case, how they would adjust the shelter and what actions need to be taken. For example, I was part of a case that had to do with a puppy mill bust. Our at-capacity shelter was to take in 6 pregnant German Shepherds. We had to discuss how we would use fostering and adjusting the shelter for whelping and care of the neonates. Then, what we can do legally since the case was still on-going. I can personally say this experience shows what shelters have to go through beyond just getting animals adopted. It exposed us to a variety of scenarios and what needs to be taken into consideration to be able to help animals at maximum capacity. “The final project was meant to stimulate the students’ interest in shelter medicine by giving them real world problems to work through and getting them to think like shelter vets. Almost every one of the proposed situations was one I had to deal with when I worked in the shelter. So this was real.”- Dr. Fellenstein, professor of record. 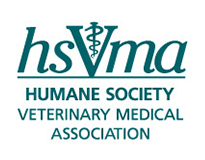 All the above opportunities being offered by Purdue CVM are helping to prepare veterinarians that will be more informed about shelter medicine. Without these classes and opportunities many students may not understand why veterinarians are so needed in that field. These programs are setting the foundation to establish a full shelter medicine program at Purdue. They are creating stewards of animals for the future. By igniting this passion now we can hope the future graduates will want to stay involved in their community and help give back when possible. Photos courtesy of Purdue University College of Veterinary Medicine/Kevin Doerr and (bottom photo) courtesy of Tessa Meland, DVM Purdue CVM c/o 2016 (on left) with two students in their Priority for Paws rotation. Janet Roque-Torres is a third year veterinary student at Purdue University CVM. She is originally from Miami Florida where she worked as an emergency and ICU technician and volunteered at the Humane Society of Greater Miami. She also worked as a keeper at the DuMond Conservancy caring for owl monkeys retired from biomedical research. After graduation, she plans to specialize in internal medicine. 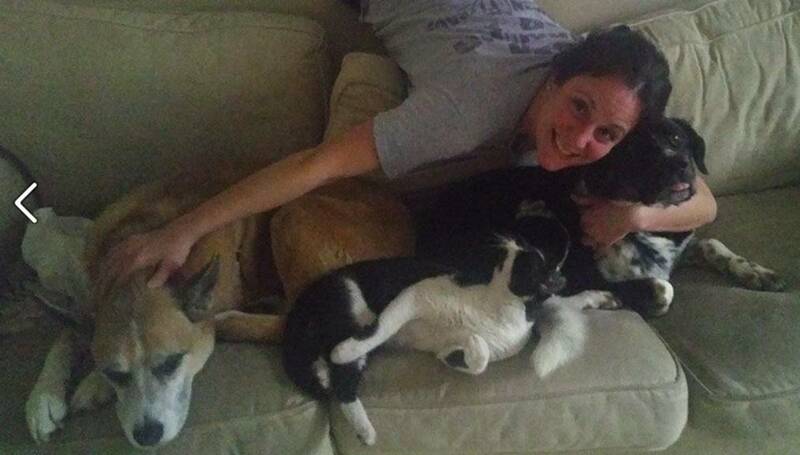 Beside working in a small animal specialty hospital, her goals are to serve as an Internal Medicine consultant with shelters and zoos bringing her previous experiences all together.